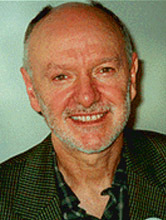 Victor Kelleher remains one of Australia’s most celebrated writers for both adults and children. Born in London, he lived in Africa for twenty years before moving to New Zealand, where he began to write, prompted by homesickness for Africa. He moved to Australia in 1976. His novels have received many awards and commendations, including the Australian Children’s Book of the Year Award. Formerly an associate professor of literature, Victor now writes full-time.